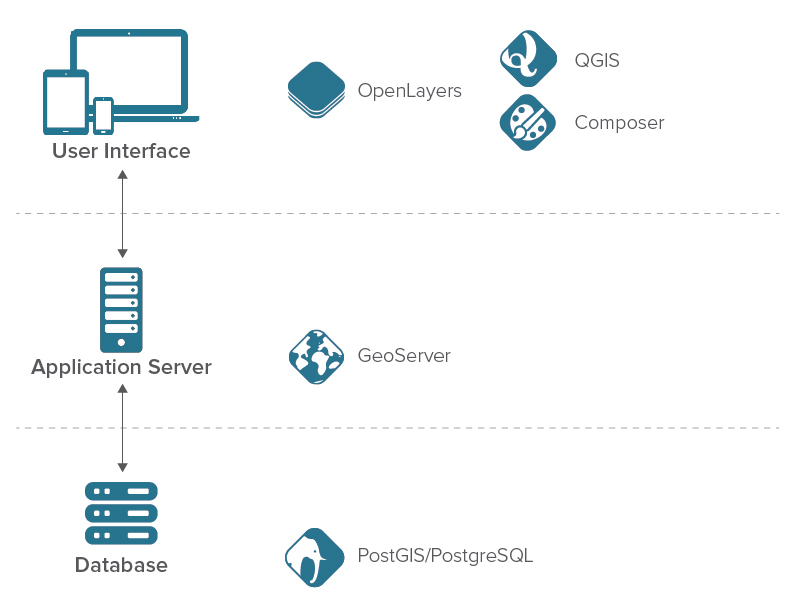 A provider of Spatial IT solutions, Boundless, has released the newest version of its enterprise geospatial software platform, OpenGeo Suite 4.6. This Suite powers web, mobile and desktop maps and applications across both large and small organizations and improves performance, reliability and styling. GISCafe Voice: What would be an example of cost differential using OpenGeo Suite 4.6 rather than a proprietary geospatial solution? Sean Brady: There are no traditional license costs associated with OpenGeo Suite, either client-side or server. As a result, as you scale deployments (across both IT environments as well as users) organizations incur no incremental costs other than underlying infrastructure costs. Proprietary geospatial solutions incur license costs on both a per-user basis as well as the number of cores used on the server side, so costs increase with scale. GISCafe Voice: When you say “anyone” can build maps, etc. do you mean anyone with certain geospatial qualifications? Sean Brady: This is the benefit of what we at Boundless call “Spatial IT”. It means Spatial no longer needs to require special qualifications, because IT professionals familiar with database technologies like PostgreSQL and web development languages like CSS can build and style maps. As an industry, if we want geospatial to grow in adoption by traditional market verticals, we have to make the technologies more accessible to the IT shops that are already in place without needing to hire scarce geospatial experts. GISCafe Voice: Do organizations need IT/geospatial departments to get the suite implemented in their companies? Sean Brady: Again, as an industry if we want geospatial to grow beyond specialized geospatial shops we have to make it accessible to other parts of the business. Organizations still need IT, Web, or application development expertise to leverage the power of OpenGeo Suite – but those are resources in much greater quantity and are already invested in as strategic efforts. GISCafe Voice: Do you have examples of deployment cases? Sean Brady: You can find cases on our website underneath our various product offerings. We have case studies posted about deployments at organizations like NOAA, TriMet, and Asheville, North Carolina. GISCafe Voice: Are you moving into other market areas, if so, which ones? Sean Brady: In the spirit of Spatial IT, we’re working to make our software accessible to multiple market areas. If you visit our website at http://boundlessgeo.com/resources/, you’ll note multiple market verticals we are currently targeting and working with. GISCafe Voice: What do you think is the most profound offering of Suite 4.6 that differentiates it from competing Open Source geospatial software? Sean Brady: In the open source community we like to think we’re not competing with other open source technologies. Rising water lifts all boats in our space, the more people that use open source geospatial technology the better we all do. It’s why we’re committed to OGC standards and interoperability – if you wish to use something different at a certain layer because you have different objectives, then please, go ahead. Where Boundless works to differentiate is by responding to what we perceive are gaps in what’s out there – our improved Composer offering in OpenGeo Suite 4.6 addresses market needs for web-based map design and styling tools using the simplified YSLD syntax. 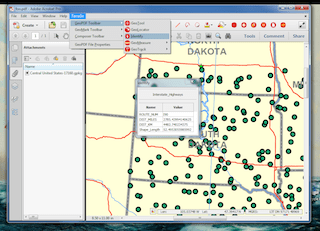 Enhanced OpenGeo Suite Composer, that allows anyone to build and style maps by making it easier to add data to GeoServer, style layers, and publish to the Web.